Although this has absolutely nothing to do with the arcade machine, I love these stadium seats. I converted our downstairs basement into the "sports design" family room. This is where we have the arcade machine. 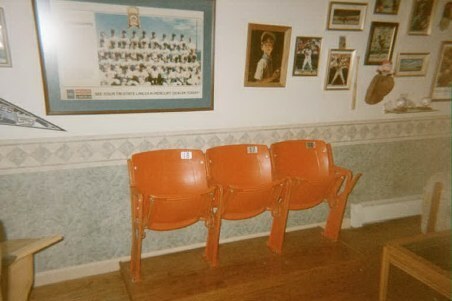 These seats are from the old Anaheim Stadium. Very nice.